While cruise ships continue to impress with their sheer scale and ever-growing list of features, they’re yet to overshadow the best thing about cruising: shore excursions. Having the chance to head ashore in multiple exciting destinations remains one of the foremost highlights of a cruise holiday, helping you discover new cultures and marvel at incredible landmarks in a single, uninterrupted journey. No matter where you travel on the high seas, you can enjoy a string of inspiring shore excursions that reveal our beautiful world in greater depth. Whether that’s wine-tasting in Europe, hiking through the Fiordland National Park in New Zealand or visiting a theme park in the USA – shore excursions take your holiday to the next level, so you can tick unforgettable events and experiences off your travel wish list. Of course, shore excursions don’t come cheap, so you need to make sure you choose the ones that are worth the extra money. To help you cherry-pick the best experiences to enjoy on your next cruise, we asked trusted travel bloggers to share their favourite shore excursions, as well as tips on getting the most bang for your buck. Most cruise lines offer shore excursions you can book on board, but beware, as these can rack up. Often, a cheaper option is to organise shore excursions independently, either before your cruise using a dedicated excursions programme, or during with a private tours operator in each port. Silke Elzner, founder of travel blog Happiness and Things, is a firm believer in organising shore excursions on your own terms, though not at the expense of missing out on encounters which only come from a specially-organised tour. Here, Silke fills us in on how she organises cruise excursions and shares her experience of visiting the beautiful islands of the South Pacific. “I usually try to organise my own shore activities when travelling on a cruise ship as I like to be independent and make my own decisions. However, some ports do require you to join a guided tour or a tour bus just to get the essence of the place in the short amount of time that you have available. “I visited the Isle of Pines in the South Pacific twice, and on my second time, I felt I needed to see a little bit more than just the area right next to where the tender boats would land. The beaches near the port are lovely and there is lots to discover, but I am a very curious person and I was wondering what else was out there. Now, in destinations like the islands of New Caledonia, there is not a lot in terms of tourism infrastructure, so it is recommendable to go with an organised tour, as it will guarantee that you won’t miss the ship at the end of the day. Remember: when opting to travel independently on shore days, always book tours and trips with reputable operators and check local travel advice for any information which could affect your visit. You should also make a note of your ship’s departure times and be sure you get back to the port in good time – you don’t want to get left behind! The Caribbean is one of the world’s most popular destinations for shore excursions, with cruise-goers young and old keen to sink their feet into the warm, white sands of islands like St Lucia, Barbados and St Maarten. Relaxing on the paradise beaches of the Caribbean, cocktail in hand, is a must for any traveller, but there is more to these isles than sun, sea and sand. Josh Bender of family travel blog Travel with Bender discovered a different side to the Caribbean on a recent family cruise holiday. During a port call in St Lucia, Josh ditched the sun lounger in favour of a more action-packed experience of this beautiful island, an experience he remembers as one of his favourite cruise shore days. Josh’s experience of St Lucia highlights the main benefit of shore excursions: they let you see another side to the world’s iconic destinations, so you can find something that appeals to you no matter what type of traveller you are. We’d advise you to shop around and do your research before you travel to find shore days that sound the most in tune with how you like to spend your days, so you can be sure of an unforgettable holiday at sea. The lush paradise isles of the South Pacific are always a wonder to behold, offering the perfect combination of natural beauty, serene beaches and unique local customs. Best of all, they’re within easy reach of Sydney and Brisbane, so experiencing them as part of an affordable cruise from Australia is wonderfully simple. Of all the islands which dot the turquoise waters of the South Pacific, Vanuatu is perhaps the most beloved by cruise-goers. The island offers a warm welcome and beauty in abundance, helping you experience the very best of island life during a shore excursion. 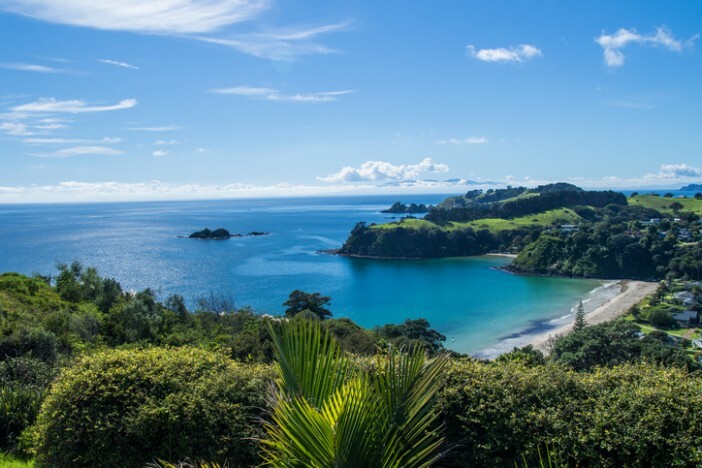 Barbara Bryan of Let’s Go Mum agrees, offering this glowing account of a recent shore excursion on the island: “One of the best shore excursions I’ve enjoyed on a cruise would have to be a visit to the simply stunning Champagne Bay. This world-class location is situated on Espiritu Santo, the largest island of Vanuatu in the South Pacific Ocean. “The pristine white sands of Champagne Bay are lined with lush green palms, making it a picture-perfect tropical beach. When disembarking from anchored cruise ship tenders, guests are met with a variety of beautiful and exciting sights and sounds. “Locals sing songs of welcome, showcasing their traditional costumes and dance for incoming visitors. Island men offer local wildlife such as snakes, lizards and turtles for visitors to view and pose with for photographs, while there is also makeshift hair braiding and massage stations. “A range of fascinating market stalls spring to life for the day, which offer all kinds of irresistible and inexpensive souvenirs and keepsakes for visitors to buy – all at very reasonable prices. “But the real star attraction of Champagne Bay is the beach itself, which offers visitors crystal clear waters for swimming and tropical reef snorkelling. Even close to shore, the coral reefs are simply bursting with colourful tropical fish and corals. “Gentle waves splash along the coral-strewn shoreline, making for an ideal family beach. Here, children can snorkel and play safely in the shallow waters. It’s also possible to hire a canoe to venture out and snorkel in deeper waters. We hope this shore day showcase has inspired you to head ashore on your upcoming cruise and take in all the wonders on offer. Click to browse our complete collection of cruises and discover individual shore excursions, or call our team now on 1300 948 844.